Peroxide Core EPDM for higher temperature resistance. 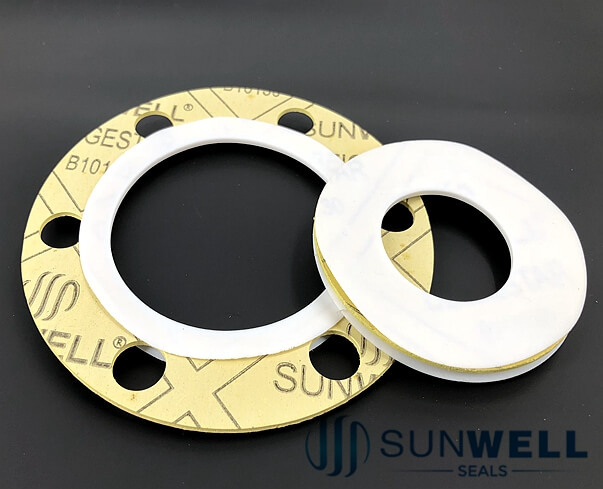 SUNWELL SEALS PTFE Bonded EPDM Gaskets are manufactured with the highest quality of EPDM rubber and PTFE for maximum chemical and corrosion resistance. 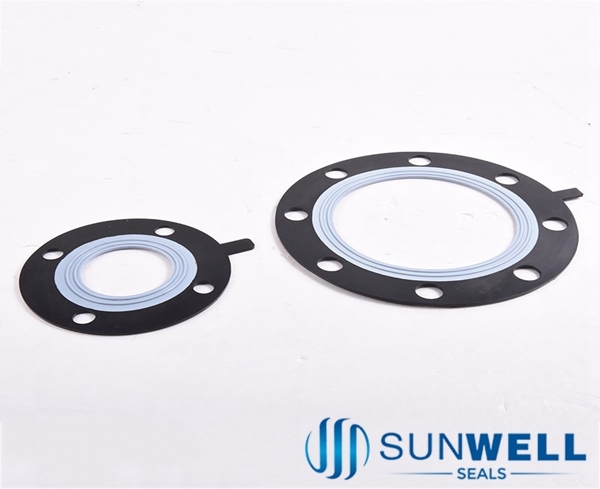 The 1330 PTFE Bonded EPDM Gaskets are designed with dual,concentric,convex sealing rings to aid optimum sealing at lower bolt loads. it offers superior sealing for hazard media at low bolt torque. 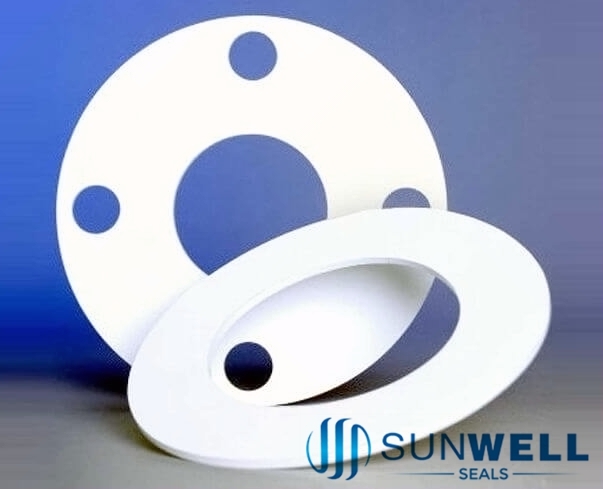 the unique inner PTFE sealing ring provided an additional sealing safety for both gases and liquids. 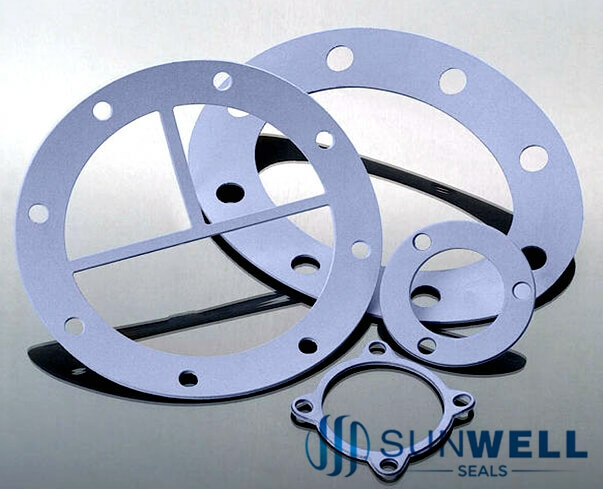 it's ideally suited for fiberglass, glass lined and steel full face flanges. 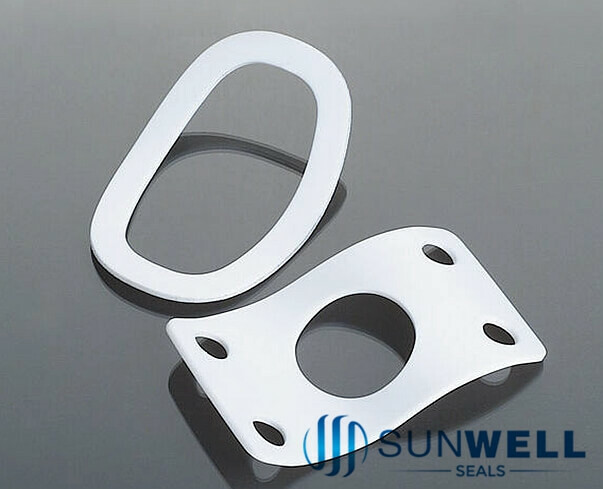 these gaskets will virtually eliminate cracked flanges, reducing installation costs, while maintaining a high performance seal for corrosion resistance.